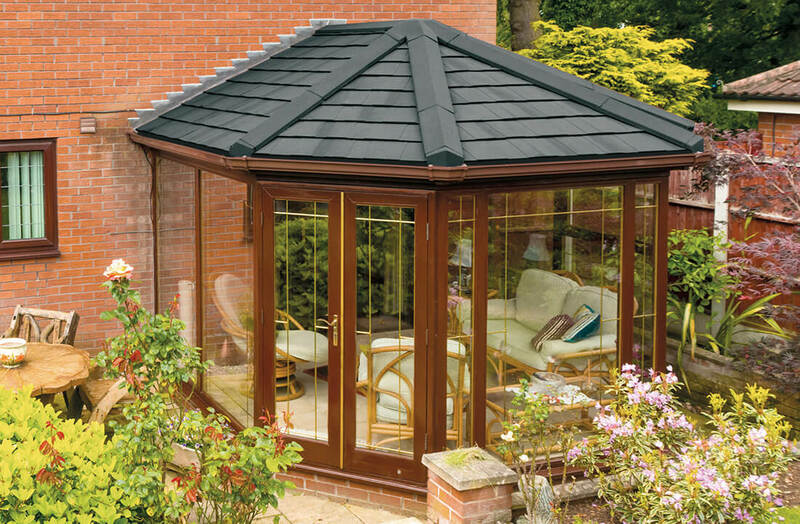 Perfectly suitable for almost every conceivable conservatory shape and style, our range of tiled roofs can be fitted using either Tapco slate or Extralight tiles. Both tile styles boast their own range of colours, sharing a high resistance to harsh weather so as to keep your extension looking good for years to come. 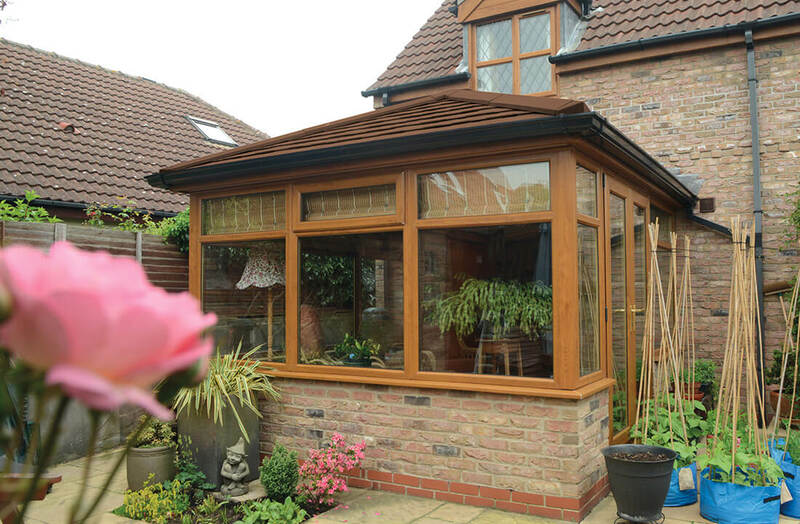 Whether replacing a previously glazed roof or an existing tiled one, they will render the space insulated and more comfortable than ever before. Always a pleasant area of the home to be in. 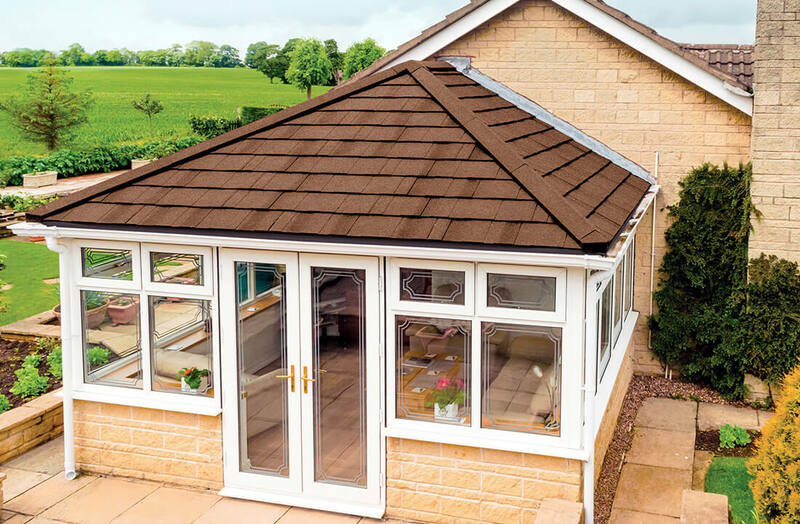 Our tiled roofs offer two unique colour palettes unique to the type of style chosen. Extralight tiles come in Charcoal, ember and walnut, while Tapco Slate can be fitted in Stone Black, Pewter Grey, Brick Red, and Chestnut Brown. 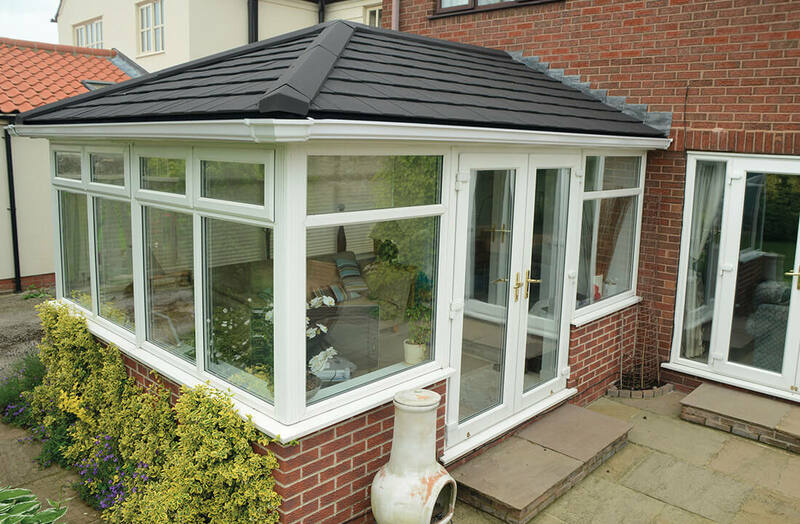 Regardless of your tile choice, our tiled roofs always deliver the very best levels of thermal efficiency thanks to it being a multi-layered system. PIR boards, breathable membrane, and more all work together to result in U-values as low as 0.18.